India is one of the largest countries in the world, has the second highest population, and happens to be one of the fastest growing economies in the world. All these factors make India a perfect travel destination for business and leisure. As an emerging global power, India offers business travelers an opportunity to invest in the growing services and manufacturing sector. For academic travelers, India has one of the oldest histories in the world and offers a great opportunity to explore ancient civilizations and communities. For leisure travelers, India offers a vast terrain that comprises of exceptional sceneries such as the Himalayas in the north, the southern beaches, the eastern tribal territories, and the western deserts. In additional, India has numerous spectacular tourist attractions such as the Golden Temple, the Taj Mahal, the Singaria national park, the Ellora caves, and the Back Waters of Kerala. 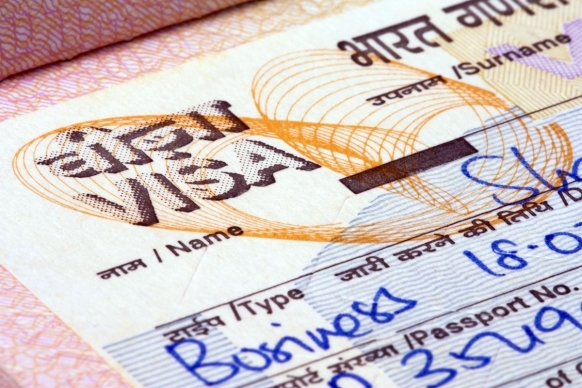 To travel to India, it is required that you have an Indian Visa. Unfortunately, getting an Indian Visa can be a very complicated task especially if you live and work far from an Indian embassy, high commission, or consulate that are responsible for issuance of Indian visas. Fortunately, though, travelers planning to visit India can apply for a visa online through the government online application option. However, for people living or working near Indian embassies or consulates, physical applications can also be processed. For travelers who do not have the time to visit consulates, several reputable agencies help with visa application or renewals. Visa processing agencies are professional companies offering visa processing services. Because of this, these agencies can highly increase chances of visas being approved in a quick, reliable, and professional manner. For instance, companies like Travisa have been providing visa processing services for persons living and working in the United States. Indian Visa Online provides similar services within the United States and other countries across the globe. Our advantages are explained below. Indian Visa Online has been in this business for a number of years and we know all the requirements needed to get a visa quickly with the first application. Secondly, we know tips that increase your chances of getting a visa. Indian Visa Online saves you a lot of time and money that would have been spent if you chose to apply for your visa directly. Although we charge an extra fee, the additional cost is eliminates the need for excessive paperwork, and the inconvenience of traveling to a Visa Center to apply in person. Indian Visa Online will also give advice to clients on the kind of visa that they need to apply. This is because India offers three main types of visas, which are the tourist visa, the business visa, and the entry visa. These visas have different requirements and by using an agency, the agency will advise clients on the different requirements, charges, and information required. Using an agency also increases chances of your application being approved, as they will check your documents before submitting to the relevant embassy. Thus, in case there are problems with client’s documents, the agency will ask the client to make corrections before they can submit to the embassy. Sometimes it becomes necessary that a traveler to India will need an emergency visa in order to visit a sick person, attend an emergency conference, or for any other purpose. Under such conditions, applying for an emergency visa using an agency might be the best option. This is because, under such pressures, people tend to forget important details. If this is the case applying for a visa directly may lead to rejection because of omission of important information. However, using an agency that verifies submitted documents will be better as the agency will advise the client before submitting their applications. India is a very beautiful country with very hospitable people. However, as an international traveler it is always important to make sure that you stay alert at all times to avoid being mugged especially if traveling out of the city limits. India offers great cuisine and has some very beautiful scenery. Unfortunately, traveling in most Indian towns can be very hectic due to traffic jams and high numbers of street hawkers. However, this should not let you not visit India, as it should be part of your story to tell. If you are planning to travel to India, please make sure that your travel documents are up to date in order to make sure that you enjoy yourself to the fullest whether going to India for leisure, business, or to study.